As utility prices continue to sky rocket, both business and homeowners are looking for ways to save money on their energy bills. We often hear from people who want to make their homes and buildings more green and energy efficient. Were here to tell you that achieving those goals has never been easier with energy efficient window film, making it a solid investment with great returns. 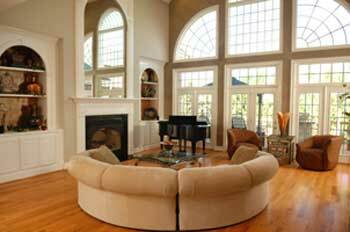 Dallas Window Film knows that window film is one of the easiest and cost effective home improvements you can make. Installing window film will quickly pay for itself as well as save you money on your energy costs for years to come. The chart below will help you better understand how energy efficient window films will start saving you money from day one of installation in your home or business. ENERGY SAVING WINDOW FILM WORKS FOR YOU? With energy efficiency window film you turn your single paned windows into double paned windows and your double paned windows into triple paned windows just by installing this amazing film. There are many other energy saving benefits that come with this amazing window film. If you have lived in Texas for long you already know how hot it can be during the summer. If you have stood next to a window you can feel just how much heat comes through. By installing energy efficient window film you can block up to 99.9% of the suns UV rays, making your home or office much cooler. By stopping the amount of heat that comes through your windows you can cut down on your air conditioning usage which equals much lower energy costs. The more windows with energy efficient window film, the greater your energy savings. Depending on your spaces size, orientation, and architecture, you might be able to discontinue use of your air conditioner all together like some of our past clients. Although Texas is normally hot, there are times during the year when it does cool down. During these times you can count on energy efficient window films insulating properties. During the winter months heat can easily escape through normal windows causing your heating system to work harder to maintain a constant temperature. Energy efficiency window film acts like an insulator for your windows keeping the heat inside and saving you money on your heating costs. If you would like to learn more about energy efficient window film, you can email us or give us a call. All of our installers have 8 years or more experience installing window film and can also come to your location for an onsite consultation.